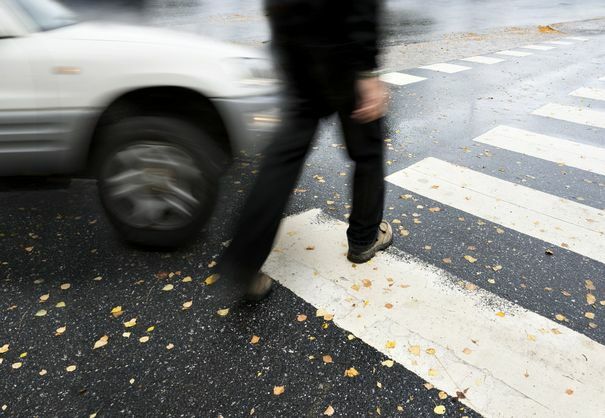 Pedestrians are especially vulnerable to distracted, reckless, and impaired drivers. If you have been injured in a pedestrian accident, you may be entitled to substantial compensation to cover medical bills, lost wages, pain and suffering, and more. An experienced pedestrian accident attorney at Foley Law Firm in Scranton, PA, can help protect your interests and seek vital damages to help you recover. Data collected recently has shown that in 2015 alone, 5,376 pedestrians were killed in 2015 in traffic accidents and 20 percent of all children who died under the age of 15 were involved in a pedestrian accident. According to the Center for Disease Control and Prevention (CDC), nearly 129,000 pedestrians received medical care non-fatal accidents. The CDC also reports that nearly half of all pedestrian accidents are caused by drivers or pedestrians under the influence. While alcohol is a leading cause of pedestrian accidents, it is far from the only one. Other causes include drivers who are distracted, speeding, reckless, negligent. Pedestrians can also be injured in bike accidents, construction incidents, and situations involving dangerous or improperly maintained properties. Many of these injuries can have a catastrophic effect on victims and their loved ones. Serious physical damage can require ongoing medical care, alterations of home and lifestyle, and sacrifices from family members for support. In tragic cases, victims may even pass away as a result of their injuries. Financial restitution can help you and your loved ones face these economic changes and better prepare for the future. From past and future medical expenses to pain and suffering, we fight on behalf of our clients to receive maximum compensation. Seeking compensation cannot erase the pain you have suffered, but can help you face these changes with more confidence in your future security. From past and future medical expenses to pain and suffering, we fight on behalf of our clients to receive maximum compensation. To find out more about our law practice and how we can help, contact our team online or call us at (800) 523-6539 today.